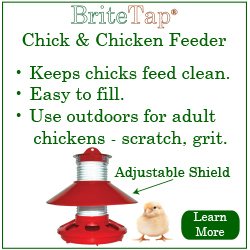 Chickens: Fill the feeder as needed; generally, just a few times per week. Dogs: Feed every day, two times each day. Supplement with table scraps when begging occurs. Chickens: Let them out of the coop in the morning. Close the coop at night. Dogs: Put on your coat and go out in the pouring rain or snow to walk your dog. Do this two or three times each day for a minimum of 20 minutes each time. When you get home, use a towel to wipe off your dogs feet or suffer with muddy paw prints on your floors. In urban and suburban locations, you need to clean up after your pooch, so talk along your pooper scooper and dog bags. Having fun yet? Chickens: None. They live in a coop outside, so you have your home to yourself. Clean the coop once per week -- takes about 20 minutes. Dogs: Dogs generally live with you, so dog hair gathers on your floors and your furniture as well, because dogs sleep on the couch whenever they can get away with it. And of course, there are those little accidents on the floor now and again which you'll need to clean up. Get out those paper towels. Chickens: Tame enough to hold, but not exactly what I'd call cuddly. Dogs: Definitely cute and cuddly. And then there are those sad brown eyes looking at you. Chickens: Each girl gives you a wonderfully fresh egg that you couldn't buy at the grocery store for love or money. You get one egg per day from each bird. Dogs: If you've collected any eggs from your dog, post a comment because we'd all like to know about it. Chickens: Generally, not very capable retrievers. Practice not likely to improve performance. Dogs: Dogs love to fetch sticks, balls, Frisbees, you name it, a dog will retrieve it. Chickens: Love to eat slugs, bugs, and other creepy crawley critters. Dogs: Don't kid yourself, dogs eat anything. I once saw my dog eat a spider. Chickens: You can eat 'em if you want to. Dogs: Not unless you live in a very poor country or you have a sick mind. 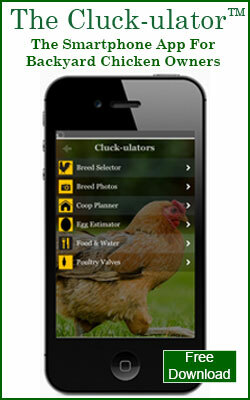 Well with all the categories tallied chickens prove to be far superior pets. Ok, it's a tongue in cheek comparison, but here's the real point.... Chickens are actually much easier to take care of than you might think. The hardest thing you need to do is to build a coop and you really don't even need to do that. You can buy a coop locally or through the internet. There are even manufacturers making coops with high style modern designs to fit into urban environments. Check out theEglu Cube and other coop models from this manufacturer in the UK. So what do you think? 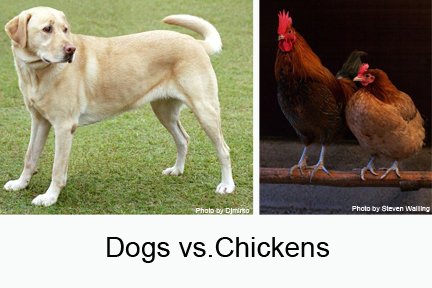 Are dogs or chickens better pets? Answer this one question survey and we'll post the results next week. I think you'll be OK. The dogs will get used to your birds. By the way, chickens are so easy to keep I don't think you'll ever give them up once you have a coop. 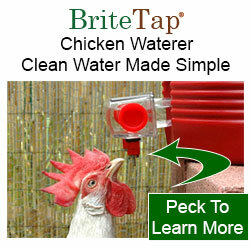 Hmmm, not sure chickens really win this one. I have both, and while I really really really like my chickens, I love my dog. Those fetching and cuddling questions are weighted pretty heavily, although I admit there's a lot to be said for fresh eggs daily. You forgot one important category: Least apt to break your heart from premature death. Despite my best efforts, I've lost too many chickens to hawks and other predators, but dogs just have to look out for cars and a leash solves that problem, or walking where cars can't go. Winner: dogs. But hey, chickens are great, too. this is way out in left field to compare the 2 is rediculous . this has to be one of the worst blogs i have seen in a long time,will a chick protect you and your family , on the farm ,will a chicken run of an intruding fox that is after your birds,making this type of comparison is a joke and a waiste of readers time you really need to find something worth while to do with your writing talent. I think you took this seriously when the intention was really the opposite. The posting is tagged under "Humor." Many people think that keeping chickens is hard work. These are often the same folks that own "traditional" pets like cats and dogs. We've owned both and know that the traditional pets are the ones that are hard to keep. The post is really meant to point this out in a humorous sort of way. In other words, if you've been holding back on adding chickens to your backyard garden or hobby farm, don't worry. I have Labs, the classic bird dog, but they dont seem all that interested in the chickens. Granted the chickens are in a pen, but I would expect the dogs to express greater interest in some way -- digging under under the fence, charging the pen etc But nothing. Oh well. The chickens are really great as a pet. There are a lot of benefits in raising your chickens. Aside from they are pest control service they will also give you fresh eggs everyday. What I like most is chickens can be used to educate your children. It helps to tell your kids the importance of being responsible.